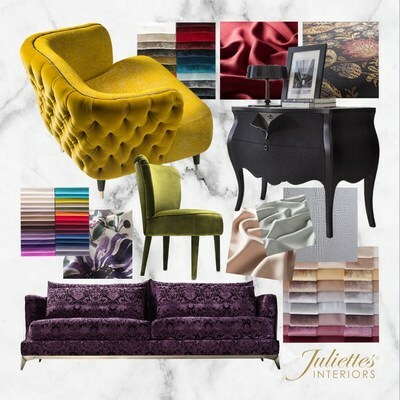 LONDON, Feb. 8, 2019 /PRNewswire/ -- Award-winning interior design company, Juliettes Interiors, is celebrating an exciting new addition to its ever-growing range of interiors services. As well as award-winning interior design, project management and luxury furniture retail, they are now looking forward to the launch of Juliettes Design School, https://www.juliettesinteriors.co.uk/juliettes-design-school. To mark the occasion, they have one free place up for grabs, worth £3K. The first course from 4 – 8 March 2019 is aimed at the beginner wanting to design their own home interiors, or possibly considering a career in high end interior design. The Juliettes designers will guide participants step-by-step through the design process from concept to finished project. It will give the skills and confidence to plan room layouts, then choose and source furniture, fabrics and finishes. State-of-the-art software will help create mood boards, drawings and costing schedules. Based at their Chelsea showroom, the course is designed to give maximum teaching time and the highest level of personal interaction with the designers so is limited to 5 students. Students completing the course will be entitled to a Design School Account, offering 20% off all items in the Juliettes Interiors furniture collections. To celebrate the launch, Juliettes Design School is offering the chance to win a free place on their March course. Entry is via their competition page https://bit.ly/2TjQkke. Closing date is 21 February 2019 when one winner will be chosen at random. Of course, entrants must be available to attend the course from 4 – 8 March. Director Juliette Thomas said, "We are really excited about the new Design School. Many of our clients have plenty of enthusiasm and ideas but may lack the know-how to take them further. The 5-day course will give everything they need to tackle their own residential projects. Small class sizes make it personal and relevant, and a chance to get together with other like-minded interiorphiles. All in all, it promises to be 5 days of creativity, inspiration and fun. We can't wait to get started."